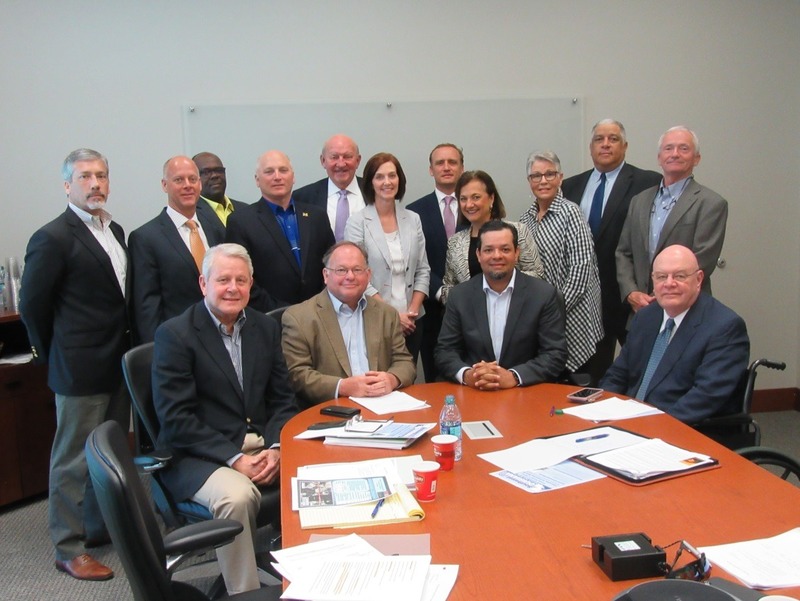 Chamber SWLA officials have announced the creation of a task force as part of its effort to facilitate the replacement of the Interstate 10/Calcasieu River Bridge. The group’s first goal is to generate project financing recommendations which will be forwarded to state and federal officials to expedite the process. The bridge is located in the middle of the Interstate 10 corridor which stretches between California and Florida and its replacement is paramount to the continued vitality of America’s energy, petro-chemical, marine, tourism and transportation sectors. Built in 1952, the I-10 Calcasieu River Bridge, located in Lake Charles, Louisiana, has outlived its structural capacity and usefulness in today’s fast paced national and international business climate. Studies by the National Bridge Inventory and Louisiana officials have established that the bridge does not meet traffic capacity standards which can impede commerce and create safety concerns. Challenges to the replacement of the bridge include the federal and state’s infrastructure funding process, environmental considerations, current and anticipated traffic patterns, as well as debate over bridge height and the relocation of an existing railroad line. The Americans for Transportation Mobility (ATM) Coalition (https://www.fasterbettersafer.org) – which includes the United States Chamber of Commerce – has announced that the I-10/Calcasieu River Bridge needs to be replaced and funding must be made available. Members of the ATM Coalition come from business, labor and union sectors, transportation stakeholders, and the public. Their goal is to advocate for a top-grade American infrastructure system. The need for a new bridge in southwest Louisiana is especially important because the region is the epicent of America’s liquefied natural gas renaissance. Currently, Southwest Louisiana is home to over $100 billion in announced new and expanding industrial facilities. It is also home to a top ten port, world-class pipeline system, multiple rail service providers, regional and international airports, and gaming resort hotels. By creating the task force, the Chamber SWLA is taking a leadership role in advocating for a new bridge. “America and our region deserve a new Interstate 10 Bridge. Our task force is comprised of area leaders who are talented and skilled in problem solving. This is our version of an infrastructure policy dream team,” said George Swift, President and CEO of the Southwest Louisiana Economic Development Alliance and Chamber SWLA. Task force members held their first meeting in October 2017. Since then, the group has investigated the history of the bridge and efforts to replace it, examined possible funding methods, heard from consultants and government officials and considered public policy, strategic plan development and governmental affairs strategies. In February 2018, the Chamber SWLA Board of Directors approved a resolution to allow the task force to work on the project beyond the development of financing recommendations. Once the task force completes the first phase of its work, a financing recommendation will be presented to the Chamber SWLA Board of Directors for review and approval. The recommendation will be shared with local governmental officials and area agencies with the intention of developing a coalition that can work collectively with state and national decision makers. In conjunction with the task force works, the Chamber SWLA will continue a public campaign to bring attention to the need for the bridge to be replaced. Members of the Task Force are (digital picture of group is available): Chairman Keith DuRousseau, Keiland Construction, LLC; Dr. Daryl Burckel, McNeese State University; Ernie Broussard, Hunt, Guillot and Associates, LLC; Ken Broussard, Broussard & Company, CPA’s, LLC; Michael Davis, Golden Nugget; Marion Fox, Jeff Davis Parish Tourist Commission and Economic Development; Brent Lumpkin, Lumpkin Properties; Vernon Meyer, Meyer and Associates, Inc.; John Pohorelsky, Scofield, Gerard, Pohorelsky, Gallaugher and Landry, LLC; Denise Rau, Rau Financial Group, LLC; Rick Richard, Empire of the Seed, LLC; Jim Rock, Lotte Chemical Corporation; Bart Yakupzack, Jack Lawton Companies; and the Ex-officio members are 2018 Chamber SWLA Board Chair Tobie Hodgkins, Century 21 Bessette Realty; Immediate Past Chamber SWLA Board Chair Ken Francis, Lake Charles Coca-Cola Bottling Company United and George Swift, Southwest Louisiana Economic Development Alliance/Chamber SWLA. For more information about the Alliance/Chamber SWLA I-10 project, contact Eric Cormier, Vice President of Policy and Strategic Development, at ecormier@allianceswla.org or 337-433-3632. Standing: (Left to Right) John Pohorelsky, Scofield, Gerard, Pohorelsky, Gallaugher and Landry, LLC; Ken Broussard, Broussard & Company, CPA’s, LLC; Brent Lumpkin, Lumpkin Properties; Ken Francis, Lake Charles Coca-Cola Bottling Company United; Dr. Daryl Burckel, McNeese State University; Rick Richard, Empire of the Seed, LLC; Vernon Meyer, Meyer and Associates, Inc.; Tobie Hodgkins, Century 21 Bessette Realty; Bart Yakupzack, Jack Lawton Companies; Denise Rau, Rau Financial Group, LLC; Keith DuRousseau, Keiland Construction, LLC; Marion Fox, Jeff Davis Parish Tourist Commission and Economic Development; Ernie Broussard, Hunt, Guillot and Associates, LLC; Jim Rock, Lotte Chemical Corporation; and George Swift, Southwest Louisiana Economic Development Alliance/Chamber SWLA. Not Shown: Michael Davis, Golden Nugget. 0 comments on "Interstate 10 Calcasieu River Bridge Update"